The Silver American Eagle coin entered 1993 with changes in production venue and a special striking of the coin offered to collectors to celebrate a United States Mint milestone. At the same time, demand for the collector’s version of the coin was shrinking, and Silver Eagle mintage levels were slipping to an all-time low. 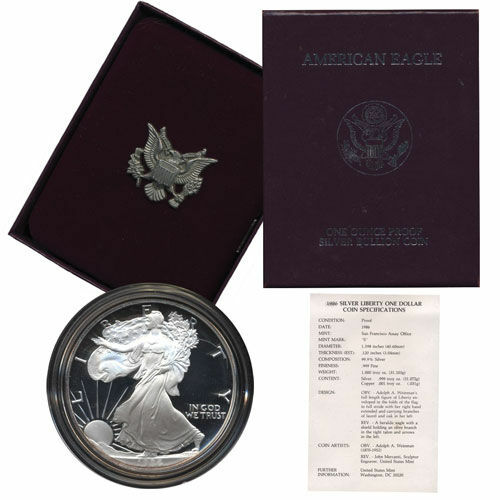 Right now, the 1993-P Proof Silver American Eagle is yours to own on Silver.com. Mintage total for 1993 Proof Silver American Eagles was 405,913! 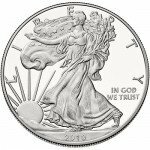 8th annual Proof Silver American Eagle coin. “P” mint mark identifies new minting location at the Philadelphia Mint. 1993 was the first year in the program’s young history that Proof Silver American Eagle coins were not struck at the San Francisco Mint. The mint in San Francisco had struck both the bullion and proof coins from their introduction in 1986 until 1992. Although the bullion coins remained, the proof coins shifted to the Philadelphia Mint. The shift coincided with a very special milestone for the United States Mint. Following the establishment of the US Mint by Congress in 1792, the very first American coins were produced by the United States Mint at the Philadelphia Mint location in 1793. In 1993, the US Mint celebrated that bicentennial date with a “Philadelphia Set” of coins. Included in this set were proof Gold Eagles in each of the four sizes, as well as the 1993-P Proof Silver American Eagle coin. There was also an additional silver proof product struck using 90% silver this year, known as the US Mint Bicentennial medal, and each product featured a “P” mint mark. 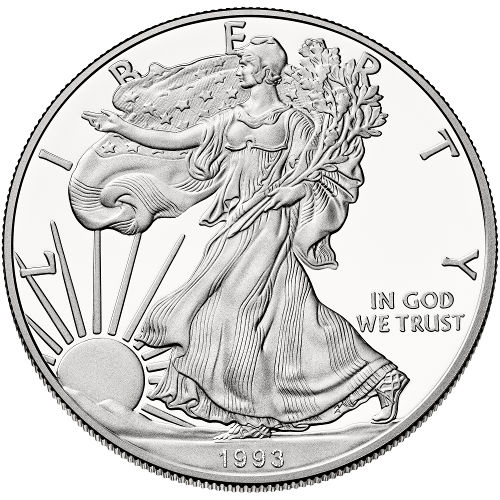 On the obverse of the Silver American Eagle is the image of Liberty as depicted by Adolph A. Weinman. Known as Walking Liberty, the design features Liberty in full-length figure walking toward the setting sun with the American flag draped across her shoulders. The reverse features John Mercanti’s heraldic eagle. 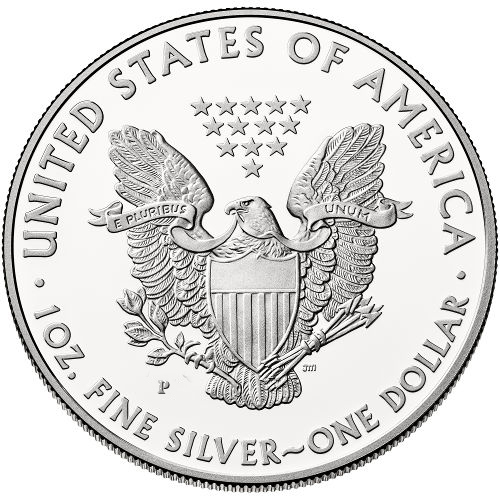 A modern interpretation of the common reverse design used on countless American coins, this heraldic eagle was Mercanti’s first design as the new Chief Engraver of the United States Mint.